Painted Plants That Upturn Your Rustic wedding! Yes, its inspiring theme & new trend in rustic weddings! With the innovative trends of wedding themes, every time I am seeking some unique and creative ideas in floral theme wedding. As I found some new ideas to enlarge the flower wedding theme flavor i.e. use of fruits, DIY leafs decor, original fruits table decor peace. Now, on the latest trend in the flower world is, painted plants. Yes, painted plants contribute magnificent blooms in your wedding. Couples get confused about the idea of the painted planet rustic wedding. So I’ll give you some muses about painted flower theme to include in your rustic wedding. Feel the beauty of flowers with a tint of vibrant paint colors in your rustic wedding. Yes, we call it: Trends. Here the use of some unique red + pink painted flowers that we can use as the wall decorations or table decorations in your rustic wedding theme that delivers you lots of appreciation from your guests. But before it, you need to send some floral print vintage style rustic wedding invitations for your invitees. Nothing is the more attractive backdrop for a wedding than painted Floral Vintage Wedding Invitations into your rustic wedding . Floral fancy wedding invitations are charming every time no matter how they are designed or created. They may be painted with intense ink or delicate layers of watercolor, or they may be only printed with your names in the whimsical font. They always create a classic yet modern style into your rustic wedding. If you are celebrating winter wedding in rustic style, golden would be a color roster, these small white pumpkins fit the bill perfectly. Spraying a few with gold glitter adds a hint of an accent, without too much distraction. You just imagine about rustic style painted pomegranate setting on the tabletop with decorative pots as a centerpiece that will best fit your wedding color palette. You need to spread your feeling toward other things like golden urns, bowls & pedestals. Yes, It is an excellent combination for a bridal bouquet with yellow and green dahlias that will provide much stark to white that brightens up the presence of the bride. So cheers with these painted plants ideas & select your favorite rustic wedding invitations or vintage wedding invitations here at 123WeddingCards. 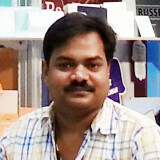 Mr. Atul Gupta is the co-founder of 123WeddingCards . He is having years of experience in wedding card designing and have expertise in writing wedding card related blogs. His online portal contains latest collection of wedding invites with amazing designs. He is passionate about his services. A genuine wedding columnist with immense writing skills on wedding related topics, his profound ideas have been signature of many weddings all across the world. ← Top 5 Trends of Muslim Wedding Invitations that give perfect style to your Nikah!